Velib is the bicycle hire scheme based in the centre of Paris. 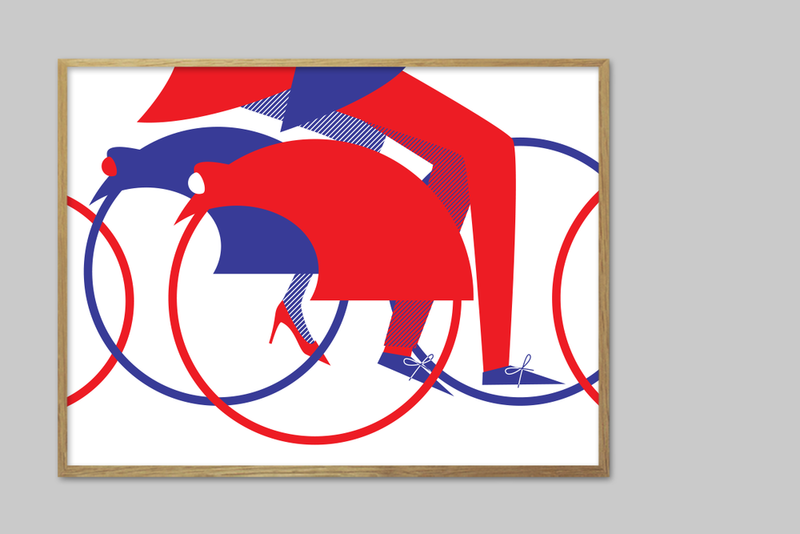 To celebrate the success of the scheme, the Mayor of Paris commisioned 9 artists to create a piece of artwork that reflected the joy of cycling through Paris. Three artists were chosen from each of the USA, UK and France. I was incredibly honoured to be one of the three artists representing the UK. My poster is entitled ‘Tour de Paris’ and was exhibited in the Grande Palais, Paris until 21 July 21 2013 and then was subsequently printed onto a life-size totem pole and displayed in the Cite de la Mode until October 2013.